Jungle Red Writers: Liz Gordon wins following her own advice: Submit, submit, submit! Liz Gordon wins following her own advice: Submit, submit, submit! HALLIE EPHRON: Liz Gordon wowed me and Lucy a few years ago at Seascape Writers Retreat with the her novel. Afterward, as she continued to polish and revise, she did something really smart. She wrote short stories. Smarter still, instead of sticking them in a drawer she submitted them to contests. I say it is a place of soul-making"
I'm so delighted to welcome Liz to Jungle Red. Her story, "Nobody's Piece of Heaven." It's set in 1954 and tells the story of Lily, a twenty-three-year-old, twice-divorced woman, who goes West looking for a new beginning. Liz, where the kernel of the idea for this story came from? Did YOU make a move like that once upon a time? LIZ GORDON: Lily [not her real name] was supposed to be my godmother, but, because she was a divorced woman, the Roman Catholic Church did not allow her to serve in that role. I was never adventurous, brave, and/or desperate enough to make a move as Lily had done. As a kid, I had stars in my eyes and dreams of going to New York City to write. I was in my mid-thirties, with three kids, and recently separated, when the plays I had written opened the door to a four-month unpaid internship at New Dramatists in NYC. I packed up my fears and went. (Maybe Lily had done the same for her own reasons.) Sitting in on auditions, I gained so much respect for the guts and commitment of actors. Even an actor who was great, might be rejected because she/he was "not right" for a particular part. It was a good lesson for me. HALLIE: So interesting. I do that, too, draw emotion from real experience to write fiction. What emotions you were drawing on? LIZ: "Nobody's Piece of Heaven," was strongly inspired by watching how Lily's "move" affected my mother -- how my mother bore her grief. I have always written stories, and, even as a child, I tended to write from my dark, more raw and vulnerable, and secret side. I vividly remember the first death in the family. I was four or five. My mom and I were in the backyard. I was handing up clothespins up to her. 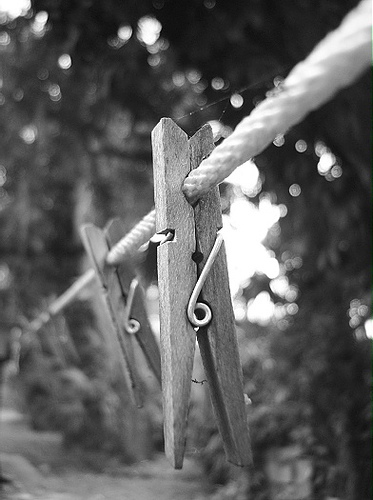 She was hanging a wet sheet on the line when she told me that my great, grand aunt, Ellie, a woman we all dearly loved, had died, was in heaven, etc. The sudden and complete absence of my aunt made no sense to me. I worried that my parents might suddenly disappear, but I kept it to myself. When joy comes along, I open the door, invite it inside, and join in the dance, then and there. I've never been able to make a good story out of such moments. Grief doesn't wait for an invitation. It cracks me open. Forces it's way into every room. Makes me look under beds and in closets. Insists I rummage through everything--the stuff of stories. We all learn from reading -- who are you favorite short story writers? LIZ: Joyce, Borges, Flannery O'Connor, Frank O'Connor, Edna O'Brien, Alice Monro, Richard Ford, Hemingway, Grace Paley, and many more. Great teachers, all. It's been my job to learn to write with my own narrative voice, to be authentic, and true to the particular story I'm telling. HALLIE: One of the hardest things for aspiring writers to do is *SUBMIT* their work. Sounds as if you have that nailed. How? 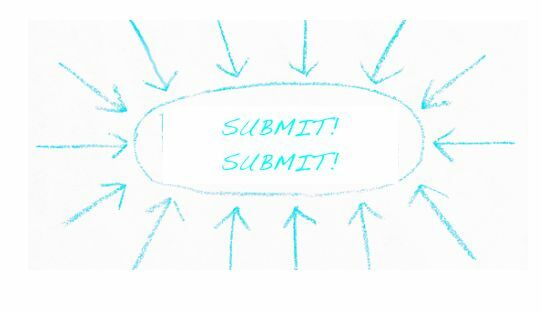 LIZ: How I wish I had the submitting process nailed. I find the tedious task of researching where to send things most difficult and time-consuming. I complain to myself that my precious writing time is being gobbled up. Then my "get real" voice kicks in and says "And what about the time your procrastinating gobbles up?" --Ouch!--That said, I just do it. The good news is that it seems to get easier. In one of my jobs in business, I was responsible for 300 projects. To track them, I had a big white board installed in my office. I've just begun shopping for the perfect white board to track my submissions and returns, which means I'm getting serious about sending things out. My current favorite is the Poets and Writers list. They publish an extensive list of magazines and contests on their members' website. They also publish a bimonthly magazine with a more manageable list of contests, etc., in alphabetical order, and with a by-date calender at the end of the list. The Association of Writing Professionals also publishes lists of contests, magazines looking for submissions, etc. In 2009, the Soul-Making Keats Literary Contest was announced in "The Grub Street Rag." I submitted a story there, for the first time, and won an honorable mention. In the spring of 1954, at the age of twenty-three, my Aunt Lily announced she was moving to California. She'd had no luck with men on the East Coast and was sure all the good ones had gone West. "Not that it matters," she told my mother. "I'm through with men." I never knew Lily's first husband. She was nineteen when they split up. I was four. It's Jimmy, her second husband, I remember. People mistook him for her father, with his gray hair--my mother called it premature--and a face creased like a shirt that sat too long in the ironing basket. He ran a service station and smelled of gasoline and oil, but on Saturday nights he was Ivory soap and Old Spice. I liked him. Lily was twenty when she married him. Early on a sunny April morning, she headed West from my parents' house in West Newton. Outside, the loud buzz of traffic, on nearby Washington Street, competed with the tinny hum of our old Dodge coupe idling at the curb, with my mom at the wheel to drive her sister to the bus station. I came outside in my pajamas, rubbing sleep from my eyes, just as Mom gunned the engine and aimed for a break in the line of cars. Lily glanced back and saw me. The passenger door flew open. She shot out of the fast-moving car and left the door hanging open. Horns blared as she dodged cars and ran toward me. Her big red purse bounced off her arm and hit the sidewalk with a thwack and the clink of glass bottles. Breathless, she bent over and squeezed me tight. Her cheek was soft and wet against mine. A whiff of Toni Home Permanent lotion, that still stunk up our house, rose off her new curls. My mom had given her the perm the day before, and while our eyes were still on fire from the rotten-egg stink, Lily showed me California. "Here's where we are," she said, her thumb on Massachusetts. "And here's where I'm going." Her fingers danced Westward across the crinkling map and tapped on California. "I'll be right down the road." To an eight-year-old, the two places seemed close together. So, here's the question: Have short stories influenced you? Do you have tips for sending stories out? I went for a long, long time without reading short stories. I'm not sure why. I only remember that one day in Marblehead I'd skipped school and was reading on the rocks at Crocker Park. I put myself and a thermos of hot coffee just below the drop off where I wouldn't be seen. Except from the water. No danger of that until I stood up. All I remember is cursing Roald Dahl and flinging the book like a flying saucer out and over the rocks, the float, and onto the deck of the police boat. That ruined me for short stories until a few months ago when I discovered Best New England Crime Stories and Barbara Ross. The cover of the book, Blood Moon, got me. But Barbara sunk the hook and saved me from a lifetime of storyteller-induced PTSD. I love to read good short stories. I write only a few of them, however, usually for some special project that I've been recruited for. My mind tends to be a novelist's mind, and I immediately start to expand my characters and plot. Short stories are harder for me so I tend not to write them unless someone wants one from me. Great story! I can see you flinging that book. Short stories are my heart, and I always love to read about someone else's success with short work. So kudos to you, Liz, for your wins and submissions! NewPages.com is my bible for short work, with P&W second. I use Twitter as well, by following journals who tweet submission openings and closings. Many journals and websites use Submittable, which is so so so easy. No more post office trips! 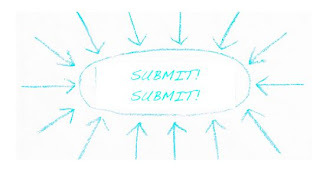 Once you have an account with Submittable, your submissions are tracked in one place, as well as the status. (They use "denied" rather than "rejected" which I think is funny.) It's a great tool for the, ahem, organizationally challenged. I love the way this story begins & wish the rest of it were here. Cool interview. Thanks. Thanks for your congrats and for the tips. As an organizationally challenged person, I welcome them. Congratulations, Liz. Great to see you here on Jungle Reds. Always wonderful to see a fellow Seascaper published. I love short stories for their brevity and twists, a full emotional experience in a small package. I LOVE to read short stories -- I'm in the middle of reading a book of them right now. Having said that, I canNOT write them. They're too short (!) and therefore very demanding in terms of structure. With a novel I have much more rope to hang myself. So I am in awe of Liz, too. Thanks Rhonda. I'm waiting for your short stories! Hallie, With your schedule, I don't know how you have time to sleep, nevermind read! I'm currently dipping into reading two books of short stories: Binocular Vision by Edith Pearlman and The Stories of Vladimir Nabokov. Good stuff! I've never been much for reading short stories, and I cannot write them. Every idea I come up with seems to turn into a novel, so I'm in awe of people who have the short story knack. I love the story in your post--I think I have to expand my horizons. I was at Connecticut Authors and Publishers University today and sharing your advice, Liz, for finding successes on the way to the big win! Deb, Go for it! Expand those horizons. I think writing short stories is helping me with the novel. It's like writing a poem. You want to make every word count. Not a bad thing to take back to each scene. And it sure feels good to write a short story and have a finished piece in fifteen or twenty pages. Sharing my advice, Yikes! I hope it's useful to someone else. I've sure found your advice helpful to me many times on this journey. Hope you had a good time at CAPA, and will have a Mother's Day off tomorrow. Linda, Thanks for your "Welcome." (The response I sent earlier got lost in the process, and the one I sent to Reine, seems to have gone to you. ) But I did check out your site and was pleased to find you've just published another book. Sounds good, too. I'm so glad you came to Jungle Reds today. I constantly find wonderful new writers here. The Reds are the greatest talent scouts and encouragers of writers around. Hurray, Reds! I second your Hooray, Reds! cheer, Linda. Wow, Liz! I want to read the rest of your story right this minute! I can hear the morning traffic, feel the tears on my cheek, smell that once-you've-smelled-it-you'll-never-forget-it odor of Toni home perm. This is a wonderful post - timely for me in several ways and inspiring. Thank you! Brenda, Thank you. So glad you liked the story opening. Your clear, specific feedback is truly helpful. Ohhh, that home perm smell. Makes my eyes water to think of it. Hi Liz, if a comment you wrote to me went to Linda, what did you say to me? Can't find one anywhere. I'm not getting email notifications from Blogger, although I am signed up. Reine, I'll repeat it here: Great story! I can see you flinging that book.